Unlike many runners, running in the morning is the least thing I like to do. I love running late in the afternoon because my muscles are less stiff and I’m wide awake, of course. But what would happen if I never ran in the morning? My race performance would suffer because most road running races take place early in the a.m. Therefore, your running performance, does in part, depend on the time of day of which you train. On weekends, I run early in the morning to get me better prepared for morning races and I find that water-soluble energy tablets are a life-saver because they give me a greater ability to not only stay awake, but to sharpen my focus and stay in the game. 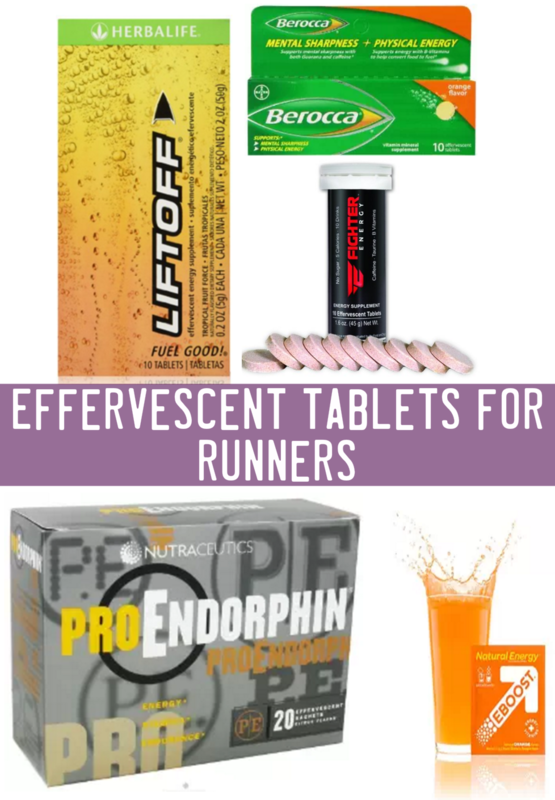 So, here are some effervescent tablets examples that work great (better than coffee). Emergen-C – These are amazingly powerful tablets that will keep you well-energized and from getting a cold because of the high dosage of vitamin C. It does wonders for your immune system, so you can train harder and harder during cold and flu season. You will also notice that you wont get hungry during a marathon with these tablets as well. Ola Loa Energy – A great way to get you revved before a hot, summer run and is the perfect way to drink all your vitamins. Ola Loa does not contain sugar and is low in sodium, but still replenishes your electrolytes better than Gatorade. Herbalife Liftoff Ignite – If you like the upper Ritalin gives you, you’ll love these tablets! They are great tasting, dissolve fast, delivers high, long-lasting energy delivery without the jitters or mood disturbances (like Ritalin). They also control hunger/curb appetite (even to those who are resistant to appetite suppressant). These will help you focus more intensively and put you in a great mood throughout the day, too. These tablets are one of the best alternatives to energy drinks, coffee and other energy supplements. They were also found to help improve chronic fatigue. Nuun Energy – Water is so boring, but not if you pop in these tablets as they are high in caffeine (same amount as coffee, but not an over-bearing amount), lots of vitamin B’s and key electrolytes to help your body utilize water more efficiently. Nuun Energy is a perfect blend of energy optimization and hydration so you can pull off a great running time more easily. For ultra runs, just pop one tablet into your Camelbak and away you go. Nutraceutics ProEndorphin – Take a more natural approach to energy revitalization without feeling jittery as these tablets contain loads of amino acids and B-vitamins and a touch of caffeine, which are great pick-me-uppers for competition and workouts. Overall, this product does a great job at boosting yourself when you’re sluggish, meanwhile it replenishing your nutrient content on the spot. Fighter Energy – A simple, sugarless way to boost your energy, without getting jittery. It also gives you consistent focus. Fighter energy contains caffeine, but less than most energy drinks. What I like about it is that you don’t crash or feel too foggy the next morning. EBOOST POW – Want a more natural super-enhancer for running? EBOOST not only makes you push harder, but makes you feel good during the process as it promotes the release of happy, feel-good endorphin’s. Great tasting, contains more natural ingredients (naturally occurring caffeine) as well. Its mental and physical boosting effects is long-lasting, so you never feel drained after a hard running session, especially in the morning. Berocca Orange – These tablets will not only boost your performance, they sharpen concentration and elevate your mood as well. Think of it as a more healthier, natural alternative to Ritalin without all the unwanted side-effects. These tablets provide long-lasting energy that will make you move quicker, with higher efficiency even with just half the tablet. They taste great and are an excellent choice to pick you up when you are dragging. Overall, the best thing I like about water-soluble energy tablets is they force you to drink water! Healthy running and optimal performance and recovery revolves around hydration, so be sure to try these tablets and order some today!